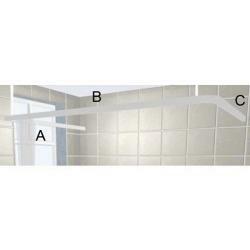 We supply a large range of shower curtains and shower curtain rails, including custom-made rails to specific sizes. 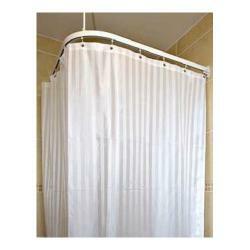 The shower curtains feature rust-proof eyelets and a weighted bottom seam to prevent the curtain from raising up or clinging to the user. The curtains are available in a modern satin white stripe or white contract style, in a range of widths and drops.